After a glorious weekend of sunshine that felt more like August than April, the grey and gloomy Portland weather returned today. I can't help but start California dreamin' of my favorite sunny hike this past year at Torrey Pines State Nature Reserve in La Jolla, California. 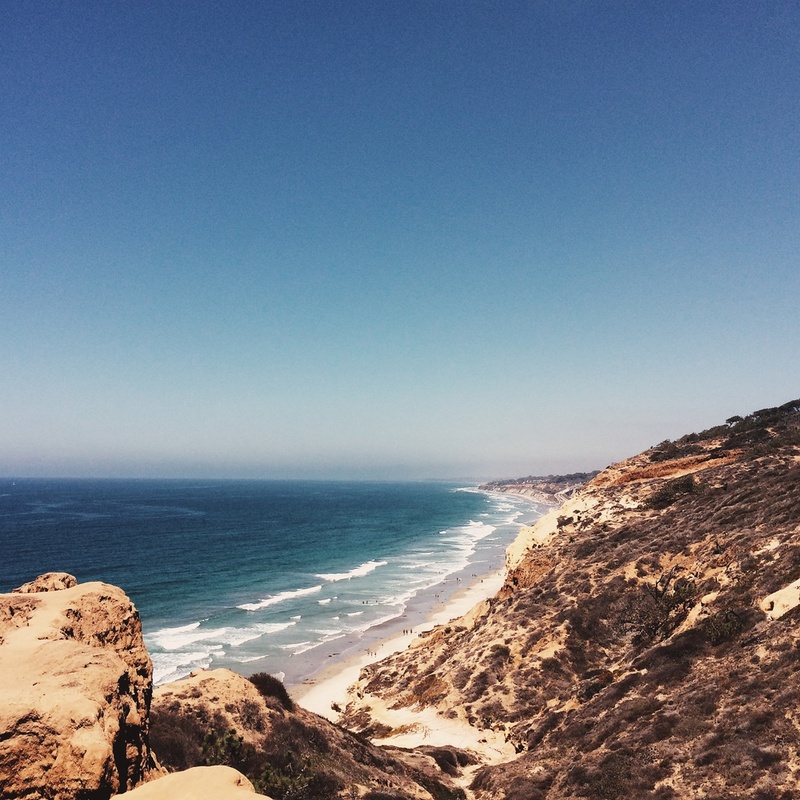 After a spur-of-the-moment weekend trip last summer to Los Angeles and San Diego, I was eager to unwind with an early afternoon hike in Torrey Pines State Nature Reserve in La Jolla before catching my last flight out of LAX. 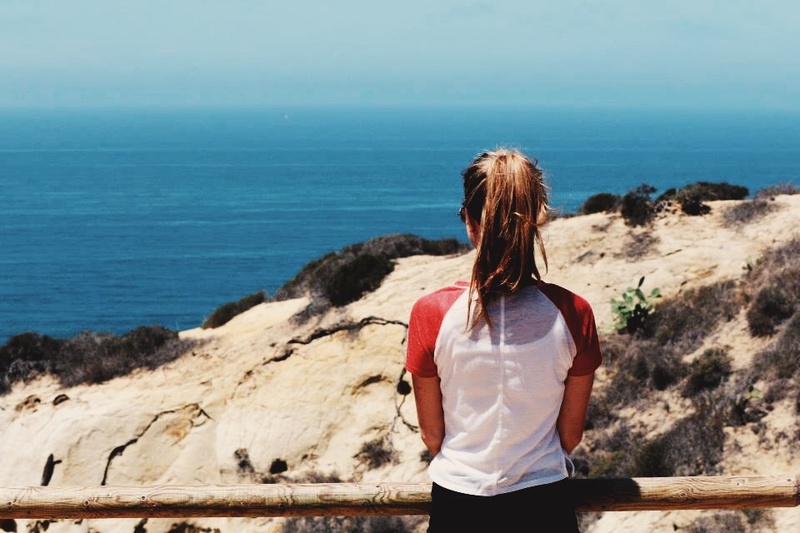 Torrey Pines State Nature Reserve contains 2,000 acres of untouched Southern Californian land with eight miles of trails weaving around the bluff and down to the Pacific Ocean. From the Visitor Center, pick a trail, any trail, and you'll find yourself meandering around the top of the cliff crest for a stunning vista of ocean below. And while I love the city, after pounding the pavement in Los Angeles and San Diego it was refreshing to take a deep breath of salt air and soak up gorgeous views like these. This particular day was in the 90s. The namesake Torrey Pines don't offer much shade on the trail so come prepared with plenty water if you plan to hike in the good weather. Another tidbit to keep in mind is that the nature reserve is packed on a weekend. If I lived in the area, I'd head to Torrey Pines early in the morning or on a weekday to best enjoy the sunny grounds.